On August 6, 2011, it was Original Idol night on Immortal Song 2. G.O got to dance the Baby VOX choreography to Killer while singing the song with the group’s former leader from 1997 to 2005, Kan Mi Youn. Killer gave Baby VOX a Top Excellency Award at the Seoul Music Awards in 1999 and was a huge hit for the group. 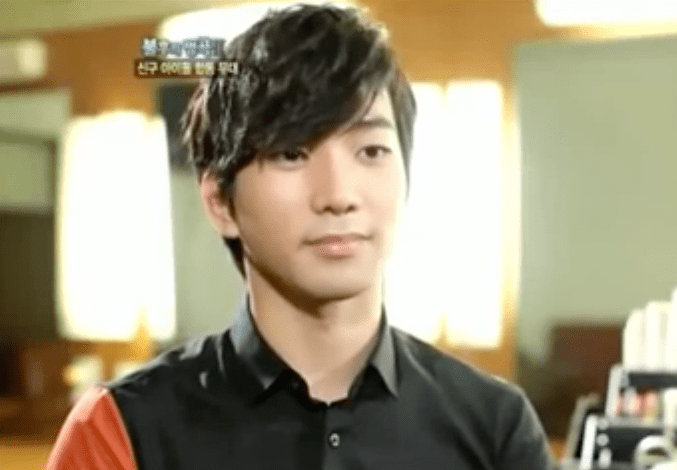 Of course, G.O settled into the song comfortably as if it was his very own, as per usual. 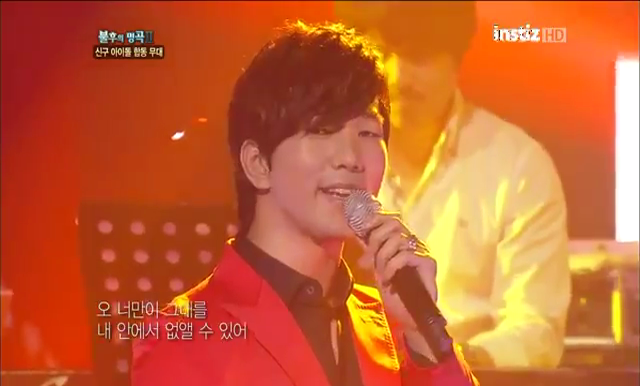 I absolutely love when G.O sings opposite a female partner. And, I absolutely ADORE the way he says the word “킬러” [Killer]! Even if he and Mi Youn missed that intricate little dance move during their performance (however, they nailed it in rehearsal), they certainly had the Baby Vox moves down pat. Additionally, they sound lovely together and are equally stunning to look at. 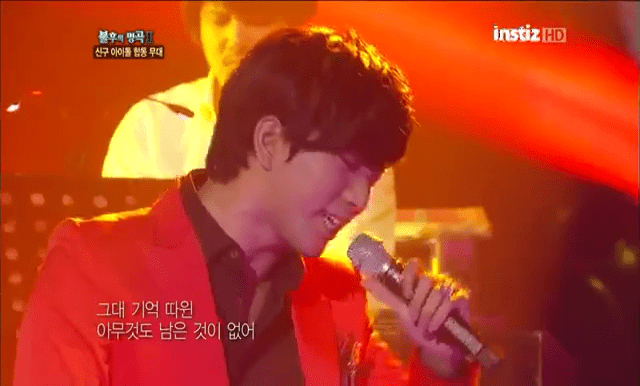 I admit I will always hold G.O’s duet work to the Baek Su Kyung (Tykeys) standard. That standard is very high. In fact, the only two vocalists that come close to besting his work with Su (in my opinion), is his work opposite his leading ladies in Seopyeonje and 바람의나라 [The Kingdom of the Winds], specifically Lee Ja Ram and Cha Ji Yeon, in Seopyeonje. Nevertheless, he makes a worthy duet partner which in reality is not a duet at all when paired with one other singer. No…it is more like a trio. You see, G.O’s first and most important duet partner in any song is the song itself. 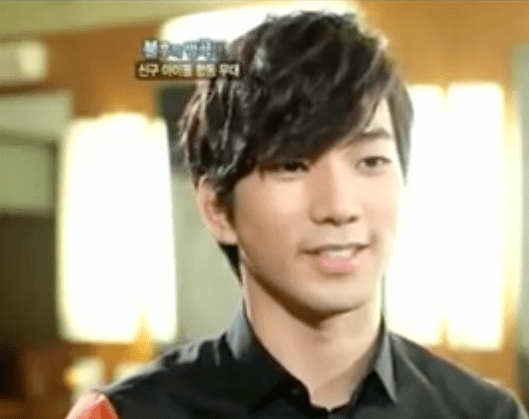 Categories: G.O Military Discharge, MBLAQ Musings, The G.O Files | Tags: Baby V.O.X, G.O, G.O images, G.O's Military Service, Immortal Song 2, Immortal Song 2 Original Idol, Jung Byung Hee, Jung Byung Hee images, Kan Mi Youn, Kan Mi Youn images, MBLAQ G.O, MBLAQ G.O images | Permalink.